I bought this peel-off mask when I was doing my Diploma so that's mean it has been already three years now since I'm using it and finally it came to the end. You can see it by how dirty the tube is. Oh, my 🙈 To me, this is a so-so mask. I don't know why this mask was so famous and hype back then and people raving that it is good. It is supposed to remove all your blackheads and whiteheads on your skin but it did almost nothing to my skin. But still, it is a fun since it reminds me of my childhood moments where I applied glue to my skin then peel it off after it dries. I have been talking about this aloe vera gel few times on my blog. It was on my February Haul 2016 too. So, I took about a year to finish every single of the product. It is a nice aloe vera gel since it is hydrating, moisturizing and absorbs to your skin fastly without leaving any stickiness at all. The first reason why I bought this was to cure my sunburnt after a day swimming without using any sunblock. But then I used it as my face moisturizer but it doesn't suit me as I noticed pimples keep appearing on my face during the time I'm wearing it. Even my brother have it too. So I think it is not supposed to use it on the face. I have half left on the container until it finished. So I used it as my body moisturizer and also for after shave or wax to finish it. It hydrates my skin well and has the nice subtle scent too. This is also the products that I have been mentioned few times on my blog. Read [this post] if you want to know how I use to save the toner for a long time. Believe me or not, this is my third bottle! I keep repurchased this toner because it is good, it removes the remaining dirt on my skin, refreshes my skin after cleansing and not to mention, it is affordable too. RM 5 only, great deal, huh? I don't know why I just can't go to the other products and I keep using and purchasing this toner. I love it. No need to explain more. I decided to buy a new moisturiser after knowing that using aloe vera gel didn't work well on my skin. Since I a loyal user of Aiken Tea Tree Oil Spot Away Pore Refining, I thought why not using the same line for the moisturiser. So glad that during that time, there was a 'Buy 2 Get 1 Free' at the Guardian during that time, so I picked up the face wash, toner, and moisturiser. I ended up paid for two items only which are the face wash and moisturiser only. Not gonna lie that the moisturiser is hydrating. The smell of the product is also nice. I kind of loving it. I didn't know what is the actual name for this product but people called it, Vietnam Mask. What I can say is it works. I tried it for many times and every time I used it it did remove a lot of my blackheads and whiteheads on my nose. When I say a lot, I mean a LOT. I also did a review on my blog before. I shared how to use it, what I feel after using it and everything. Click [post] if you want to know more about this Vietnam Mask. The only non-beauty product in this empties. I can say that I'm regret buying this. The main reason why I bought this is to use it for my potpourri in my room since I want a new scent for my room. But it doesn't work that well. For my other fragrance oil, I just need two or three drops of the products that will last for about three or four days straight. But for this Daiso fragrance oil, I need about five to ten drops each uses that just last for a day only. Kind of disappointed because I already love the scent, though. It finished after five days using it, which something that I do not prefer at all. That's all I have here. Thanks for reading! 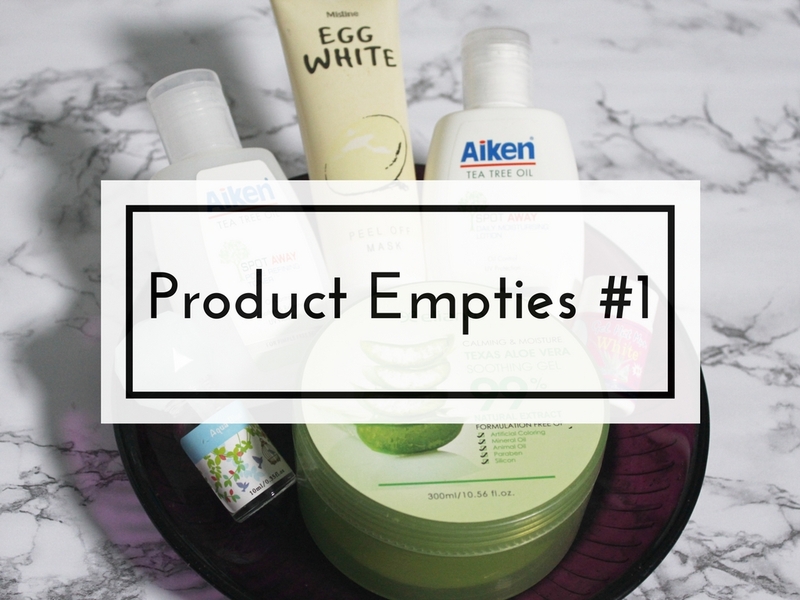 Do you have any product empties at the moment? I just used Vietnam Mask and it's really effective to remove my whitehead/blackhead hahaha..
i also used both aiken product that you had as well. totally loving it. i loved the moisturizer more. i actually have one product which i recently realize it has finished. apparently, i have left my huda lip matte at my aunt house and my cousin must have mistaken it for her's (we bought the same colour) and uses it. it was such a nice colour too. boo hoo. you seem like taking good care of your skin (seeing the masks). I never bought those things, then felt sad and cried and cried a few times as i cant share my story. So, keep on talking and i just watch u from the corner. Wow! 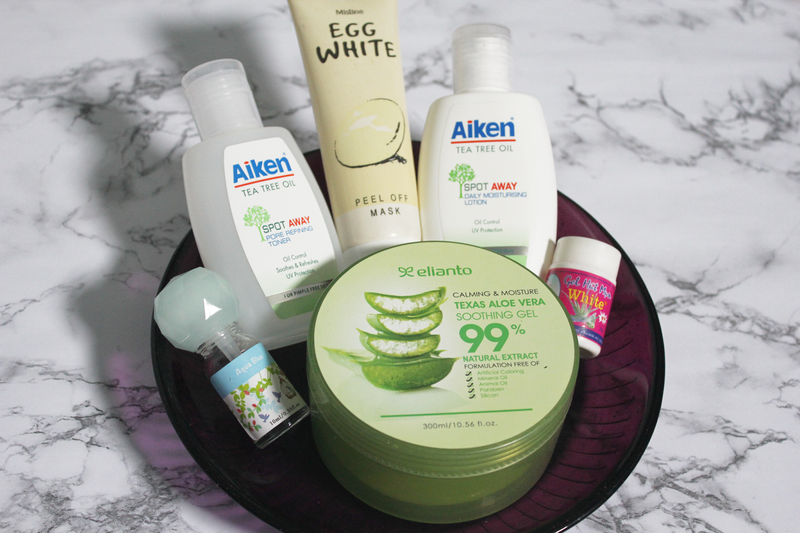 There is quite number products you used, and its look tempting to try the elianto products, never try before but after reading your post, feel like,I want to try it! :) Thanks for the review! Anyway, it is a great post! Thinking about it back, I think I should buy Shiseido Mask over this mask since it's not working. I don't know if the shops still have is or not. Hmm.